With its totally unique, world first design and flying insect trapping features, the VECTOTHOR PEREGRINE is designed for the and most severe flying insect problems in kitchens, food production areas, and more. 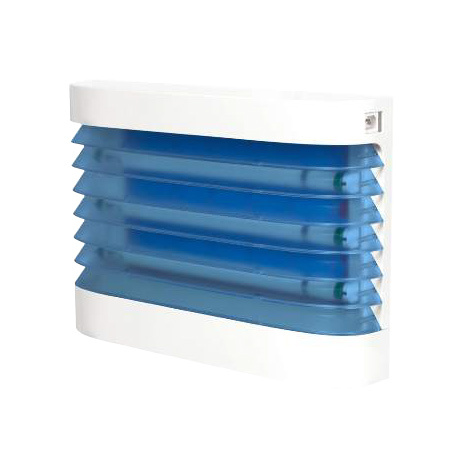 The unique louvers in the VECTOTHOR PEREGRINE coupled with our High Frequency Electronic Light Pulse, allow us to create a temperature trap targeted to 27 – 28 °C (81 – 82 °F) – the ideal temperature for most flying insects. This triggers insects seeking infrared light to enter the VECTOTHOR PEREGRINE too. Moreover the louvers trap the insects that have landed on the unit, which means faster catch rates on the glueboards and fewer insects exiting the unit.